Four of the top five manufacturing sectors by added employment in 2012 were key markets served by precision machining; Transportation Equipment, Motor Vehicles and Parts, Fabricated Metal Products, Machinery. Graph courtesy Chad Moutray, National Association of Manufacturers, NAM. 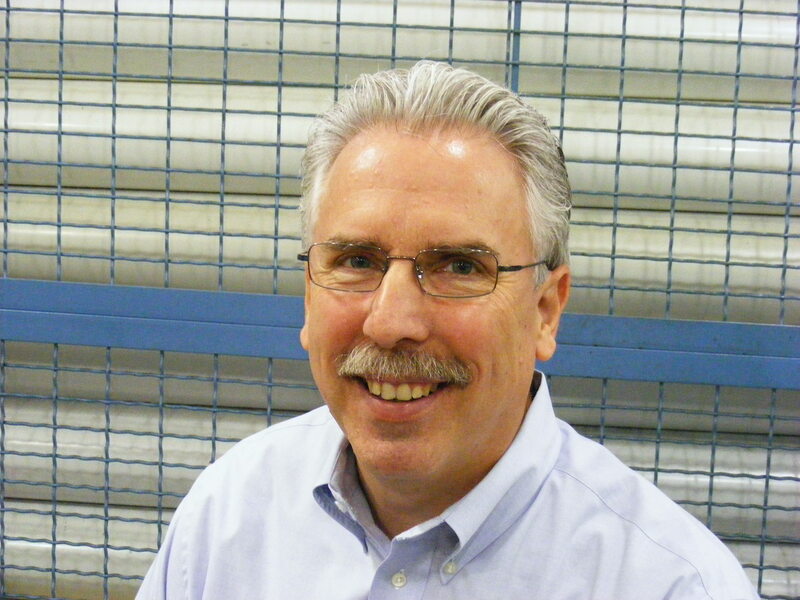 According to the Bureau of Labor Statistics, the number of Jobs in Manufacturing increased by 180,000 in 2012. While there are signs that manufacturing employment gains have slowed down in the second half, those were connected to the economic uncertainties tied to the Presidential Election, Fiscal Cliff, and Global Economic Slowdown. Two of these three special causes are now behind us. 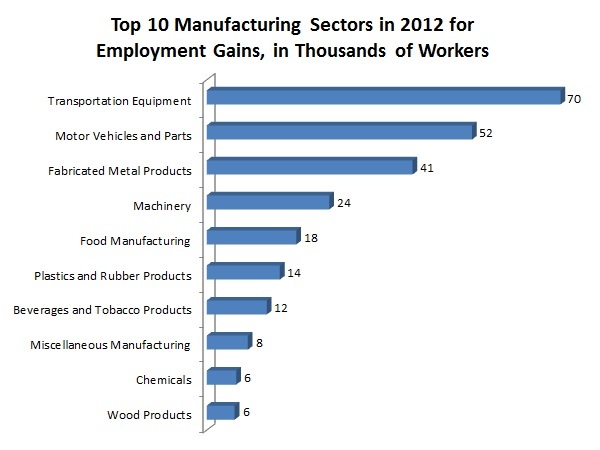 As the graph above shows, Manufacturing is the place to look for employment gains. The softness in manufacturing employment in the last half of 2012 belies the demand that our industry will have for talented workers going forward. As the BLS workweek hours indicate, Manufacturing currently is using overtime to meet its needs. Given demographic trends, current lean staffing, and the push to reshore production, any economic upturn at all will be strongly bullish for employment prospects in Manufacturing in 2013. Improvements in Housing Markets are already visible and a 15+ million auto sales forecast are two indicators that suggest if you want to find a well paying job in 2013, Precision Machining (Advanced Manufacturing) is a great place to apply. For information about careers in Precision Machining, check out our Career Resources Page on the PMPA Website. Find a training program near you using PMPA’s Comprehensive Jobs Training Database. This entry was posted on Monday, January 7th, 2013 at 1:39 pm and is filed under Front Office. You can follow any responses to this entry through the RSS 2.0 feed. You can leave a response, or trackback from your own site.